Earlier this year, we heard that Adult Swim Games and Super Mega Team would be bringing Rise and Shine to Switch. A release date has now been set, and it’s coming pretty soon. The eShop shows that Rise and Shine will be available on September 27. 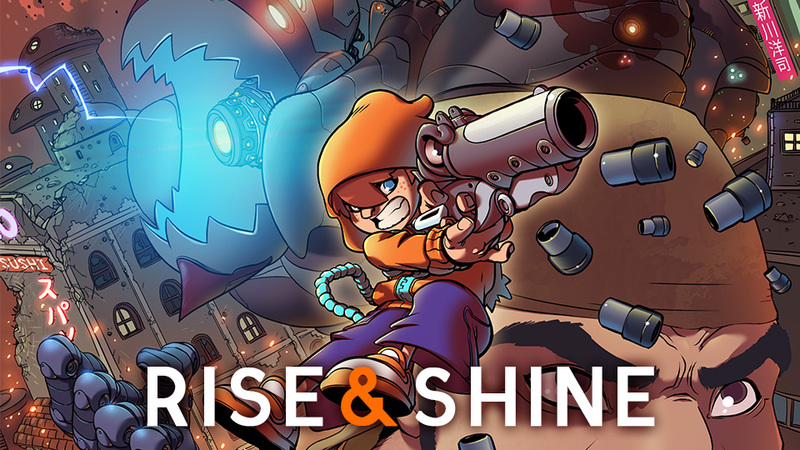 Rise & Shine is a high lethality puzzle game with a bullet-hell twist. Pop your enemies’ heads with next-level strategy and cunning. Pull off the perfect boss fight with careful planning and execution. And guide your advanced projectiles to open new areas. Saving Gamearth won’t be easy — prepare to dash through flurries of missiles and avoid unseen traps as you fight to prevent its destruction. It’s going to take all you’ve got to stay alive in the face of deadly robot armadas, bosses, giant death wheels, and even zombies. You’re going to die. A lot. Probably. Play Rise & Shine like you’ve never played before with new game modes that ensure each playthrough feels just right. Switch up your play throughs to ensure that the respawns NEVER end! Rise and Shine can be pre-loaded on the eShop now. Pricing is set at $14.99.